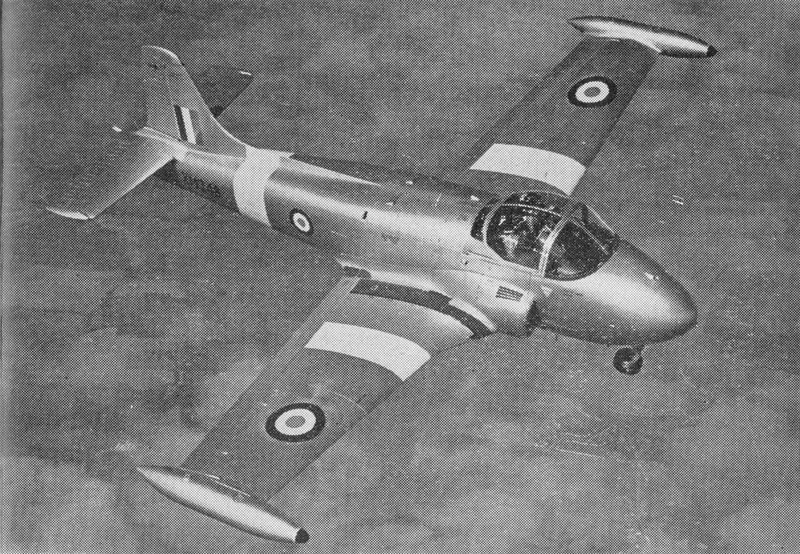 A gas turbine development of the Provost, Jet Provost first flew on June 26 1954, powered by a 1,640-1b. Armstrong-Siddeley Viper ASV.5 jet engine. Initially the Jet Provost appeared without a dorsal fin, which was fitted for a while and then removed and replaced by a long ventral fin. Another modification was the sweeping forward of the leading edge wing-roots just outboard of the cheek intakes. After trials, it went to No. 2 Flying Training School at Hullavington for the first all-through (Jet Provost to Vampire) jet flying training course. Production deliveries began in 1959. The T.3 was the basic trainer for the Royal Air Force until the mid-1970s, when the upgraded T.4 was introduced. The Jet Provost T.3, together with the more powerful T.4, with an uprated Viper ASV.11 with 2,500 lb thrust, for night, instrument and formation flying, plus aerobatics, served with the RAF, the T.4 entering service in 1961. In 1964 the original designers of the Jet Provost responded to the need for a pressurised version and began private work on the design. 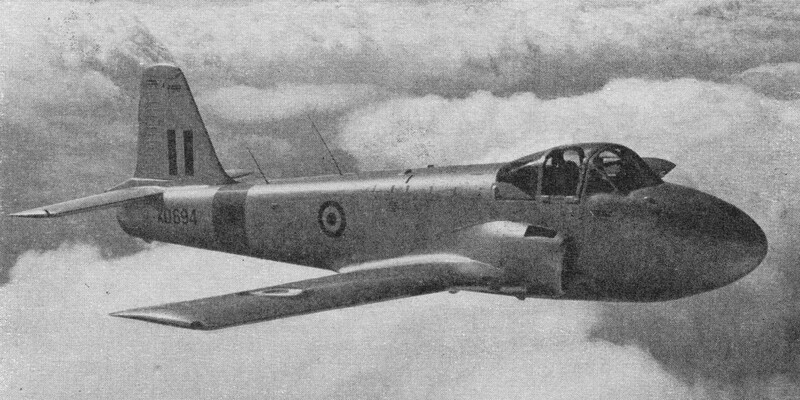 The Jet Provost T5 differed externally from earlier versions by a re-designed hood and a more bulbous shape to accommodate the pressurised cockpit. 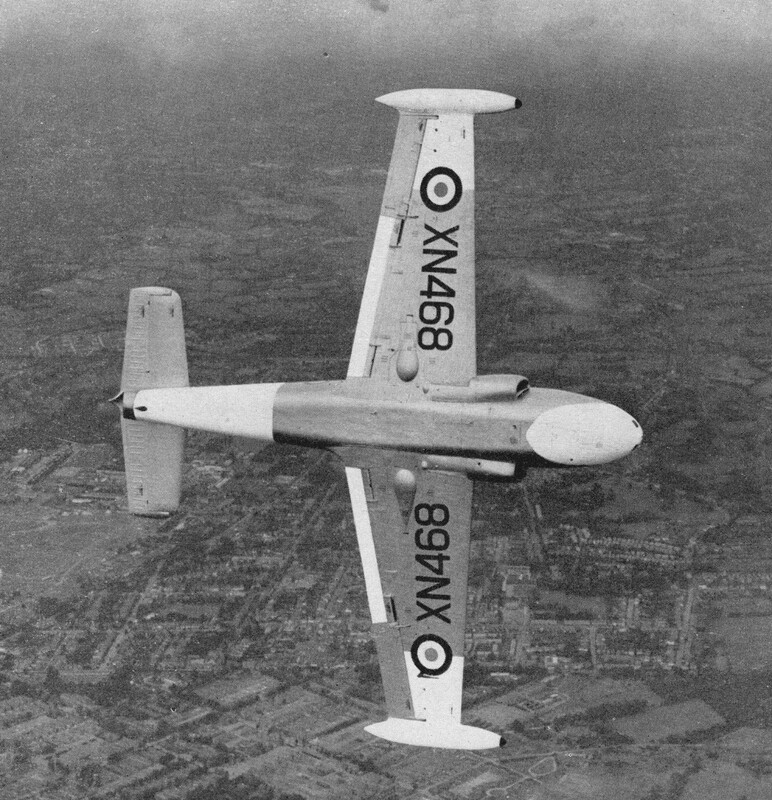 The prototype T5 made its first flight on 28 February 1967. A total of 110 Jet Provost T5s were produced for the Royal Air Force and the first was handed over to the Central Flying School on 3 September 1969. Between 1973 and 1976, ninety-three were modified by an upgrade in avionics equipment and became T5As. The rough grey coating on the wing of the aircraft was applied in order to break up the smooth airflow and give an early indication of the onset of a stall as the T5's original clean wing design gave the pilot little prior warning. Export versions were the T.51 and 52. 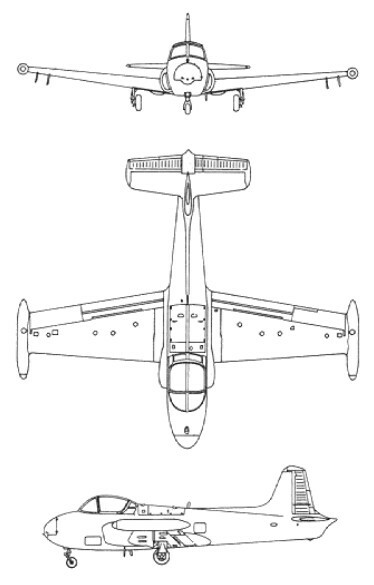 The T.5 was further developed into the BAC 167 Strikemaster.